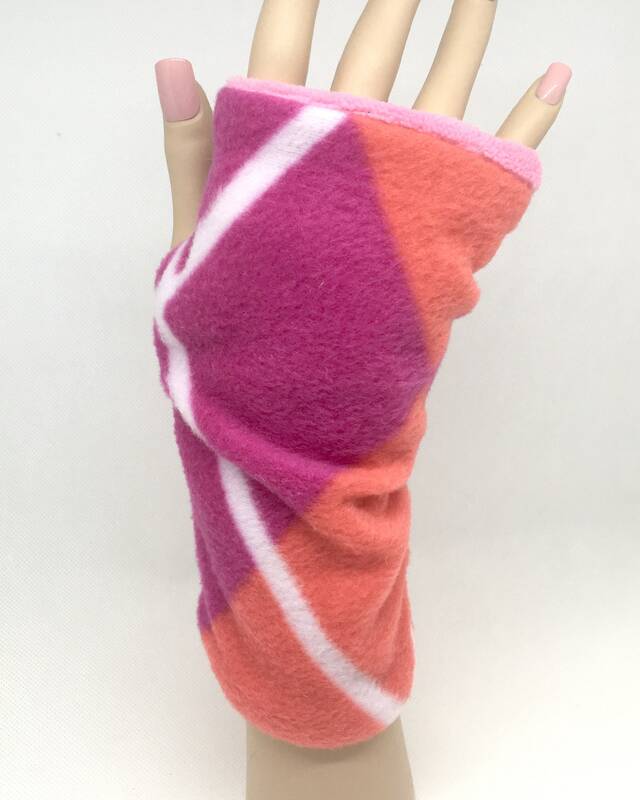 Bright and cheerful for cold weather! 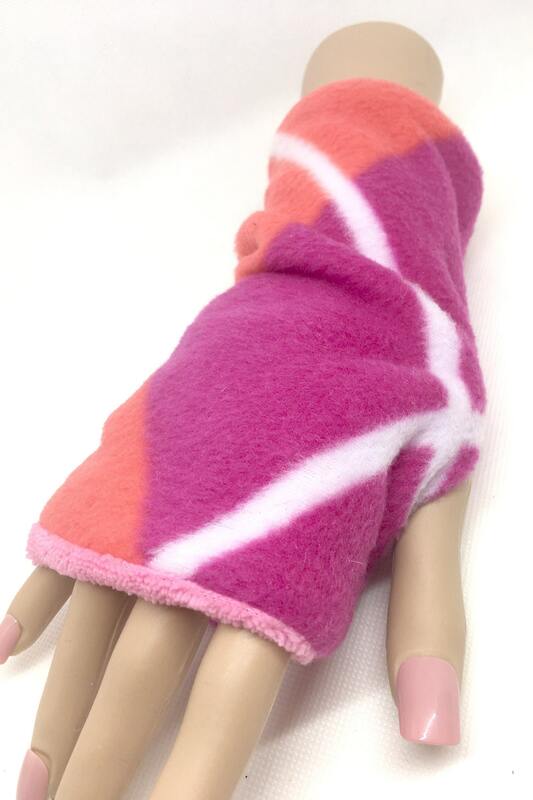 Look good inside or outdoors with this soft double fleece mobius shaped scarf and matching wrist warmers. 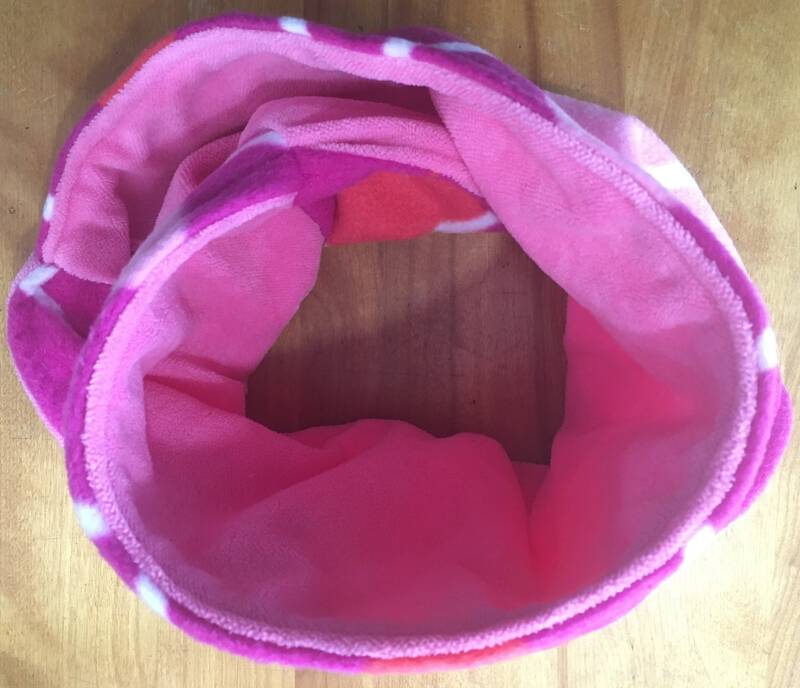 This is a warm circle scarf that will keep your neck and shoulders toasty like a neck gaiter. 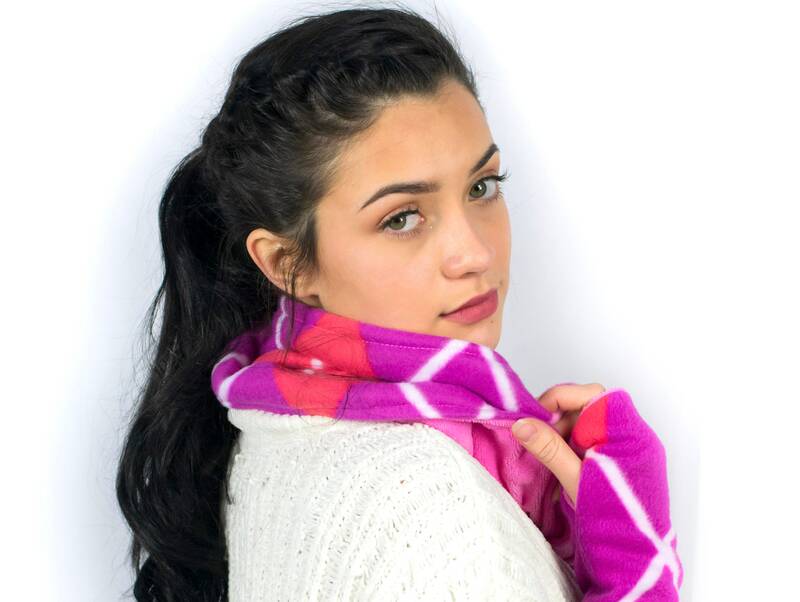 No tripping on this scarf! 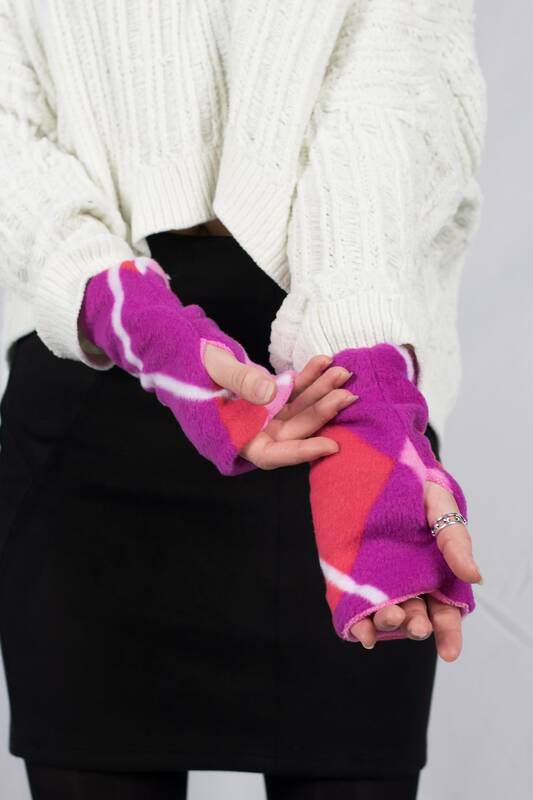 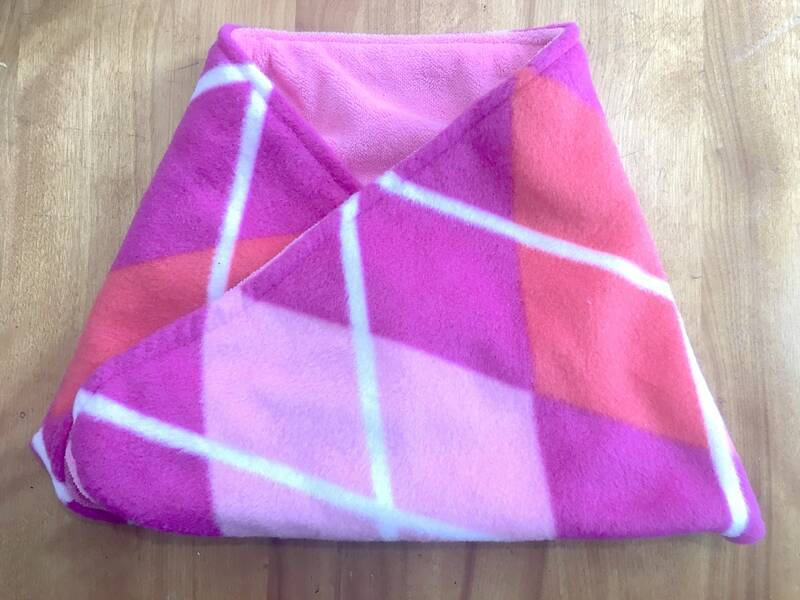 Outer material is a warm fleece in a brilliant pink, purple, and red argyle pattern and scarf is lined with a very soft pink terry fleece. 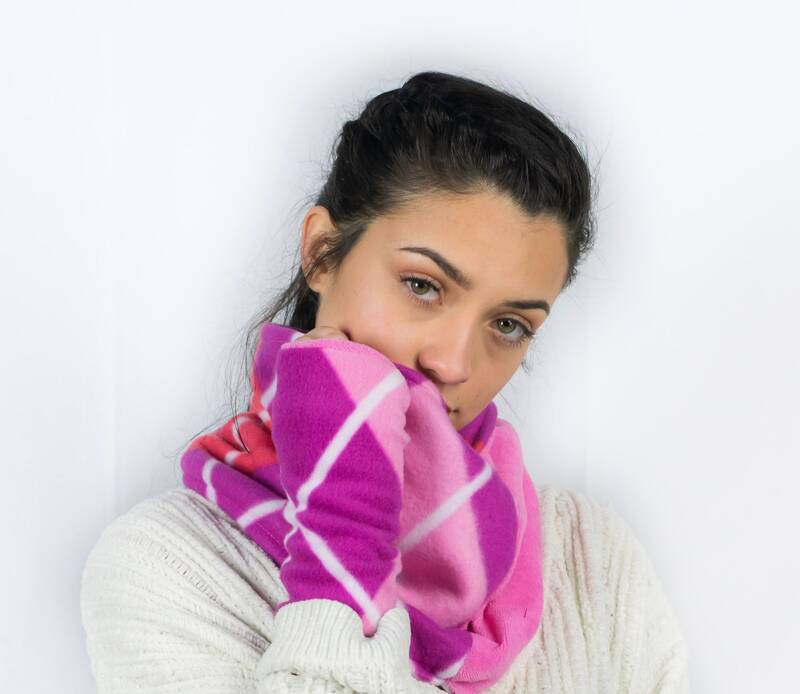 Get two looks with this scarf because it's reversible! 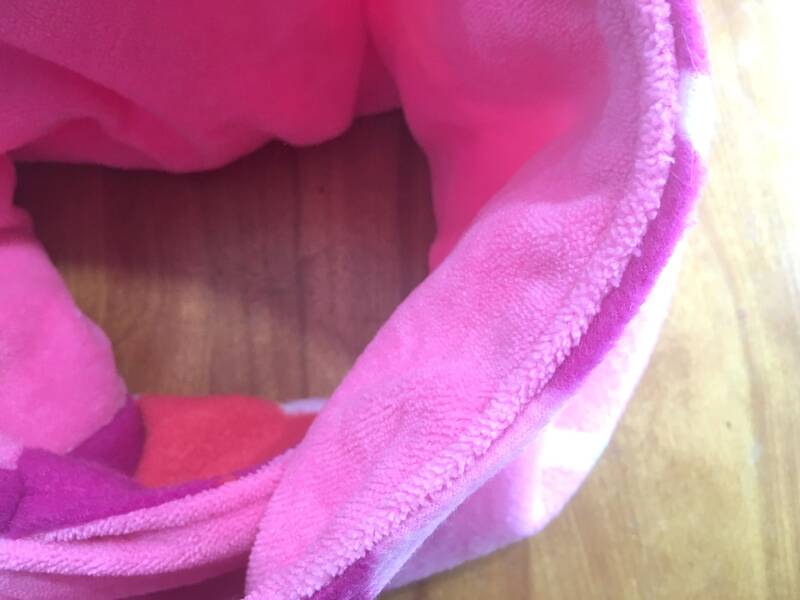 Scarf is top stitched and measures flat 8" wide at top and 15" wide at bottom and 9.5 inches tall. 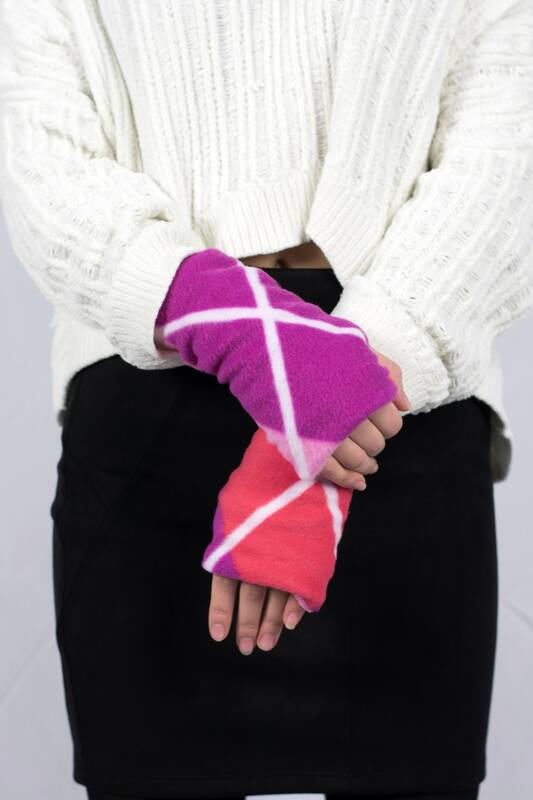 Matching Wrist warmers measure 8.5" long by 4" wide and will stretch to fit.